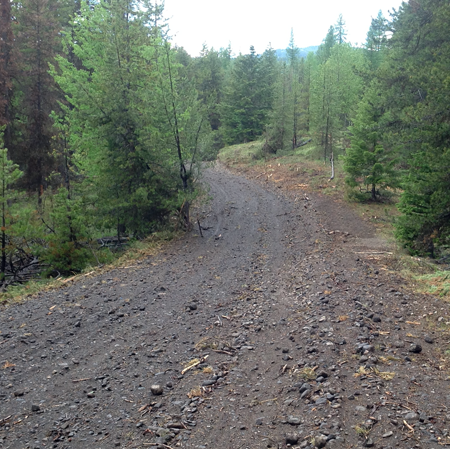 VICTORIA – Forest planning and practices on Nisga’a lands are generally following the Forest Practices Code and the Nisga’a Final Agreement, with a few exceptions related to road maintenance and stream classification, according to the Forest Practices Board. The audit examined the forestry activities of Skeena Cellulose Inc., West Fraser Mills Ltd., the Sim Gan Forestry Corp. and the Kalum Forest District’s small business forest enterprise program, on lands being transferred to the Nisga’a people. These audits are required under Chapter 5 – Section 55 of the Nisga’a Final Agreement, which requires the board to perform annual audits of compliance with and enforcement of forest practices legislation and forestry-related requirements of the agreement during a five-year transition period ending May 10, 2005. The audit found that the small business forest enterprise program and West Fraser complied with the Forest Practices Code and the Nisga’a Final Agreement in all significant respects, while Sim Gan and Skeena both had some instances of non-compliance related to maintaining roads and harvesting near streams. The board also audited the appropriateness of government’s enforcement of forest practices legislation on Nisga’a lands. The audit found that even though two B.C. government ministries – Forests and Water, Land and Air Protection – could be involved in code enforcement in the audit area, formal code enforcement is only performed by the Ministry of Forests, and no systematic co-ordination exists between the ministries to achieve code purposes. The board also expressed its concern with the frequent, minor non-compliances, specifically related to harvesting practices and planning in areas close to streams, that were not identified by the Ministry of Forests’ compliance and enforcement inspections on Nisga’a lands. Despite the problems found in the audit, no serious environmental harm resulted during the audit period. As a result of the findings, the board is recommending that the Ministry of Water, Land and Air Protection take a more proactive role to ensure the Ministry of Forests is reporting environmental concerns in its compliance and enforcement activity on Nisga’a lands. The Nisga’a lands are in and around the Nass Valley, which is about 100 kilometres northwest of Terrace. The audit examined operational planning, harvesting, construction, maintenance and deactivation of roads, silviculture and fire preparedness activities carried out between May 2000 and July 2001. The activities audited include harvesting of 15 cutblocks, silviculture activities like planting and brushing on 100 cutblocks, construction of 11 bridges, maintenance of 22 bridges, construction of 18.9 kilometres of road, maintenance of 252.5 kilometres of road, and deactivation of 47.4 kilometres of road. This was the first of five annual audits. The second annual audit will begin on Aug. 12 and will examine compliance with the Forest Practices Code and the Nisga’a Final Agreement for operational planning, harvesting, roads, silviculture and fire protection activities carried out between July 17, 2001, and Aug. 16, 2002. The same auditees will be examined in the second audit. This audit will also examine district manager obligations on Nisga’a lands, such as planting of backlog areas, stand management activities and maintenance of forest roads that are the district’s responsibility. Enforcement activities will not be examined this year, but will be in future audits. As this is the second time the board will be auditing these lands, the process is expected to proceed much faster, and a final report should be ready this fall. The second audit will also allow the board to see how Sim Gan and Skeena Cellulose have addressed the problems identified in the 2001 audit.